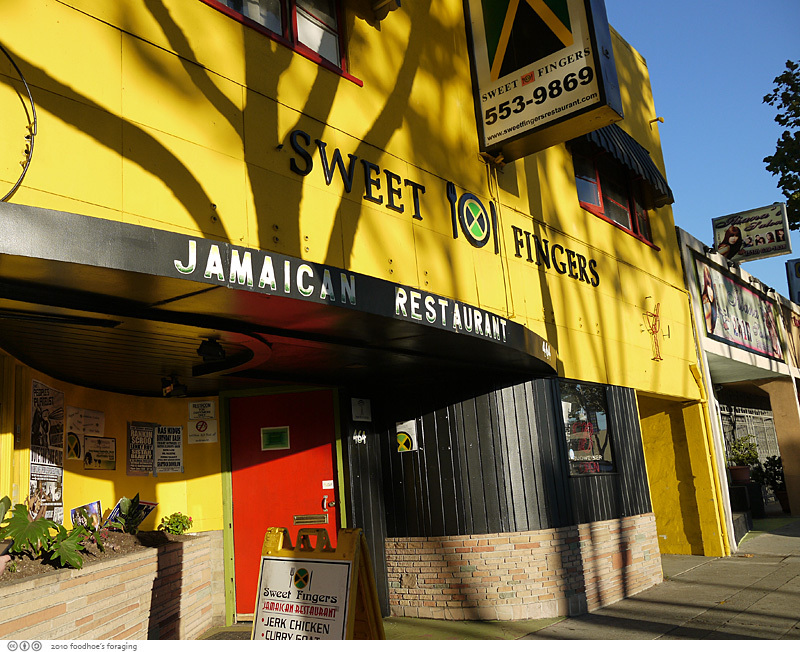 My friend DebbieG so loves Jamaican food that she travelled from the city to my side of the Bay in order to sample the menu of chef Clive Barnes, a native of Kingston who opened up Sweet Fingers Jamaican restaurant in San Leandro last year. I picked her and her friend Julia up at Bart and we made a beeline for the restaurant where we hung out and enjoyed happy hour cocktails and $3 red stripes while we waited for a couple of other friends. The interior has no windows and is dominated by a bar along one wall which made it feel more like we were in a bar that serves food than inside of a restaurant. 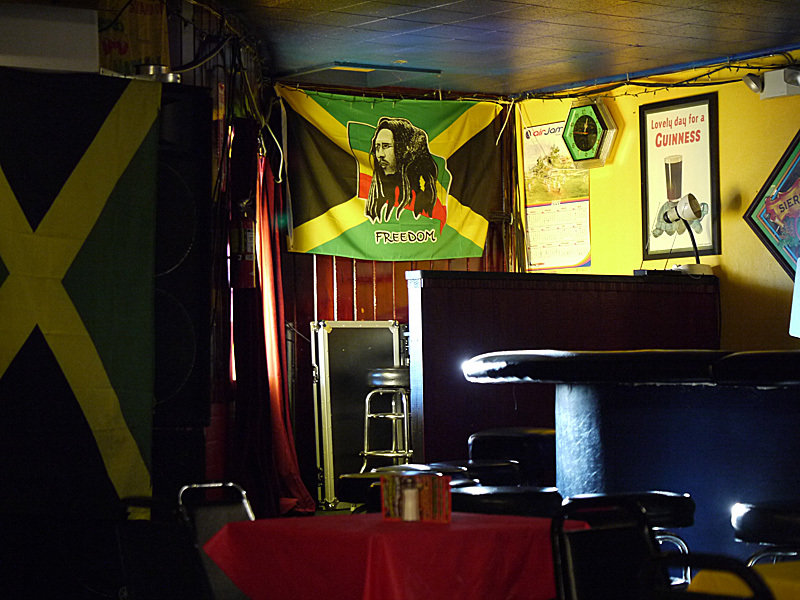 The walls are painted with the bold colors of the tropics and feature images of the Jamaican flag and there’s an undefinable feeling that you’re hanging out in a beach shack about it. 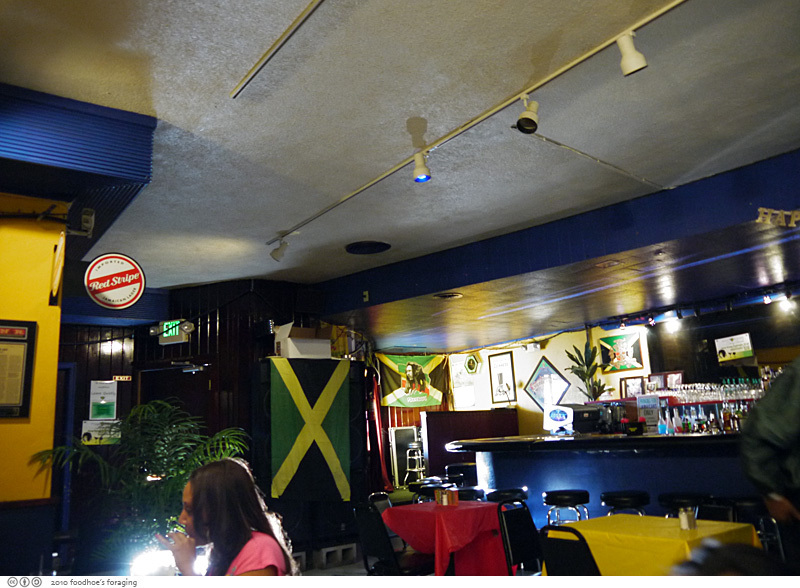 But Sweet Fingers offers more than just good food, they have Open Mic nights, a DJ on Fridays dancehall Saturdays and occasional live reggae performances. This is our fabulous server named Blondie. She was a one woman wonder, bartender, waitress, busperson… we loved her dearly she was just a doll! 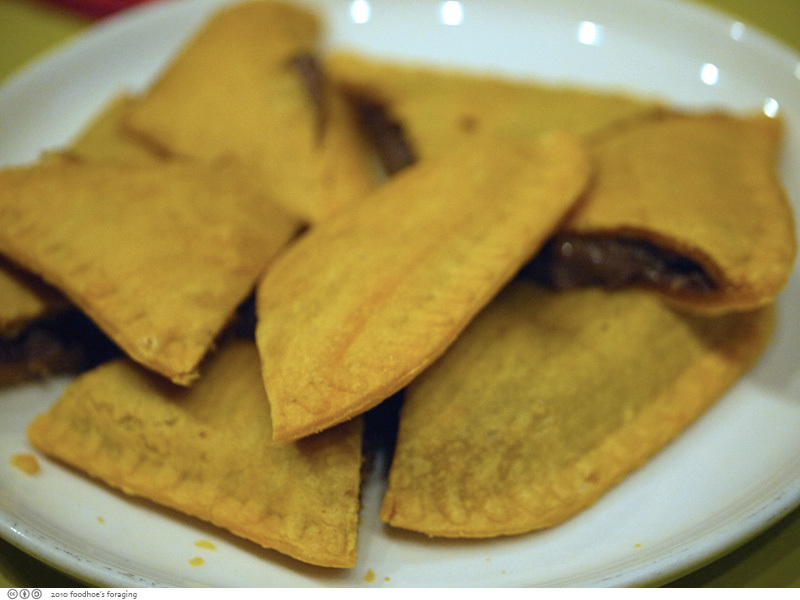 We perused the menu while we waited for Elizabeth and Alma to arrive and decided to share an order of Jamaican Patties ($3) because we were starving. We asked if they were share-able and our very obliging server cut the patties up for us. At first glance they looked a big dodgy, but were surprisingly delicious. The flaky pastry was delicate with artfully molded edges and filled with a slightly gooey spicy beef mixture that was wonderful. 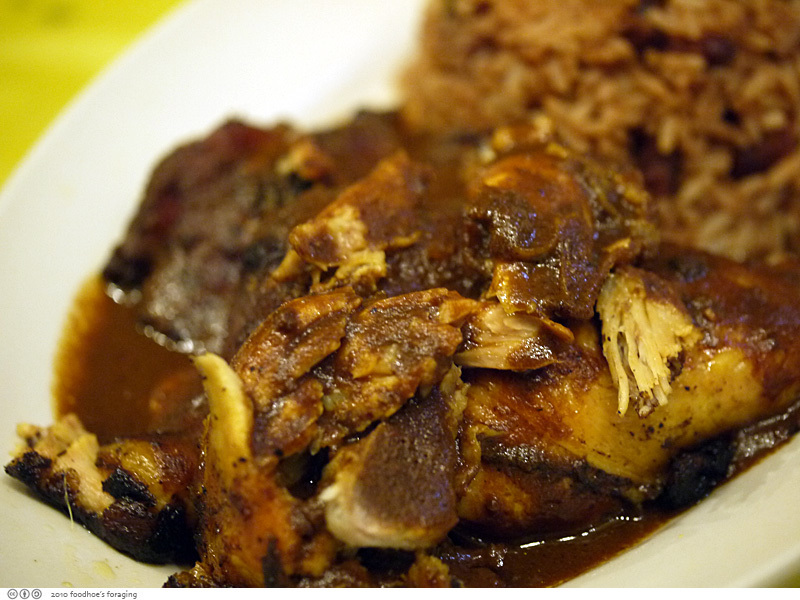 Jamaican food is a rich and spicy melange that has been influenced by the cuisines of Africa, Europe, Asia, India and South America. It is a lush fusion of incendiary spice rubs, flaming hot peppers and exotic aromas. I read that Chef Barnes’ specialties are jerk chicken, oxtails, and curry goat, so we had to order some of everything. Fortunately many of the dishes are available as half-orders so we were able to share a lot of different plates. One of my favorites dishes of the evening was the Sweet Finger’s Mama Mia Wings ($10). The chicken wings were baked in Chef Clive’s special sauce that was supposed to be sweet, but not overly so. It was savory and aromatic and chock full of vegetables, and came with a scoop of rice and beans and a few slices of golden fried plantains. Should have gotten a full order! 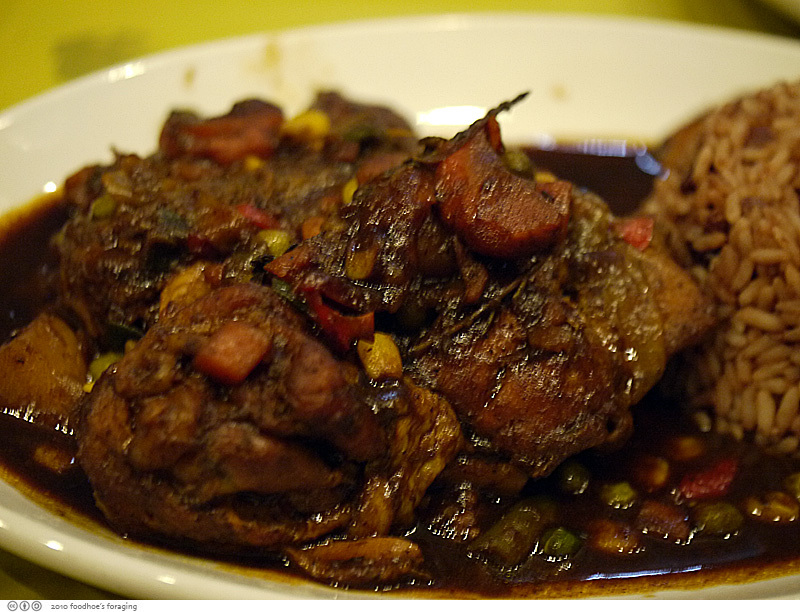 I could have had a full plate of the Oxtail ($10) to myself. The flesh fell off the bones and was swimming in an addictively spicy and mysterious sauce. 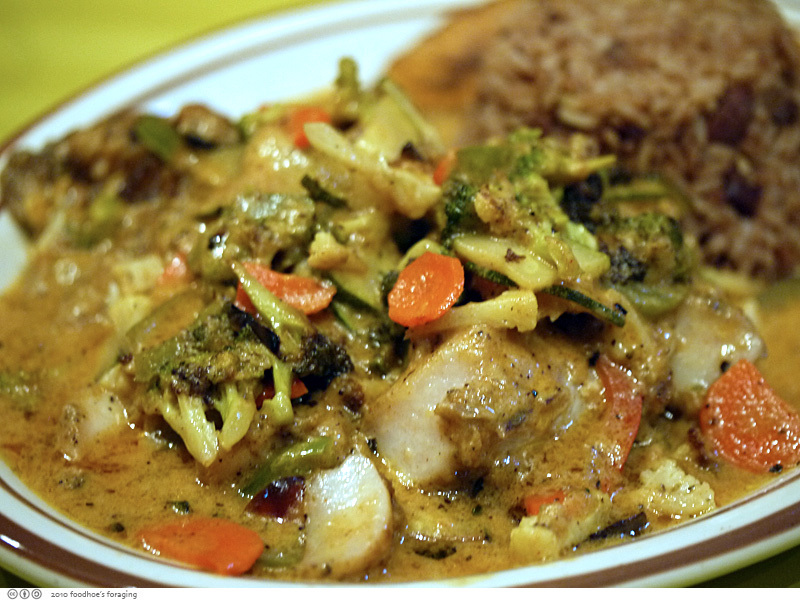 With the warm waters of the Caribbean Sea, seafood is plentiful in Jamaican cuisine, but the Jamaican style Escovitch Fish ($16) was disappointingly bland. I expected the Jamaican version of the Spanish Escabéche to be bursting with flavor but it was clearly outshone by the oxtails and mamma mia sauce. 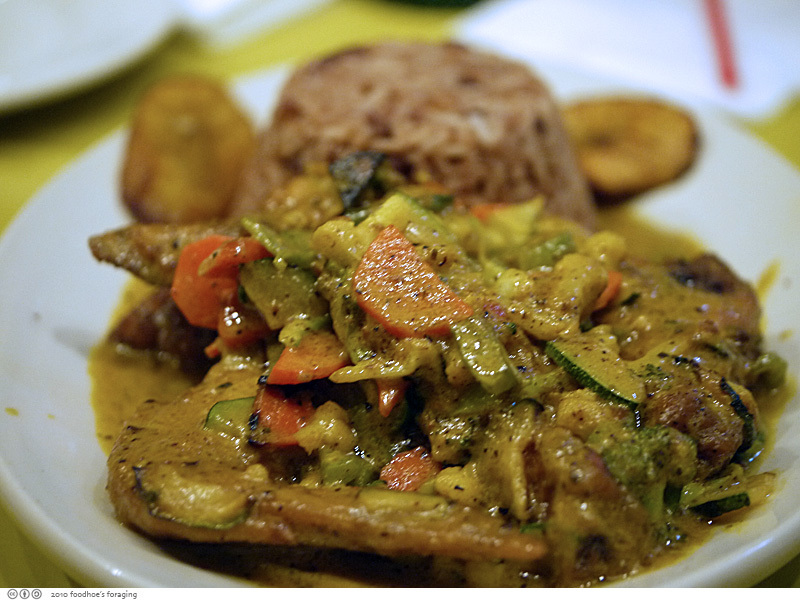 We thought we needed to order vegetables, but the Coconut Vegetable Splash ($14) seemed redundant with the scoop of rice and beans, and plantain slices. We were too stuffed to think about dessert, which I read were produced offsite anyways. The good thing is that I scored a $50 restaurant.com coupon for the ridiculously low price of $4. The only restriction was that we purchase $100 worth of food, which was easy with a group of hungry girls. Including a generous and appropriate tip, it was $20 each, including drinks! Sweet Fingers, Food So Sweet Them Lick Their Fingers! Nice food! A great place. i need to compliment the cashier’s hair–awesome. not as awesome, however, as the food. it looks incredible. Rosa, it’s quite a find for my neighborhood! Cookie, I am still a newbie with these coupons, but love those discounts! I’m looking forward to reading about your adventures cooking with those spices. gastronomer, yes I finally learned about the fine print! grace, yes she does deserve a lotta hair love! Damn. I’m salivating just by looking at them. 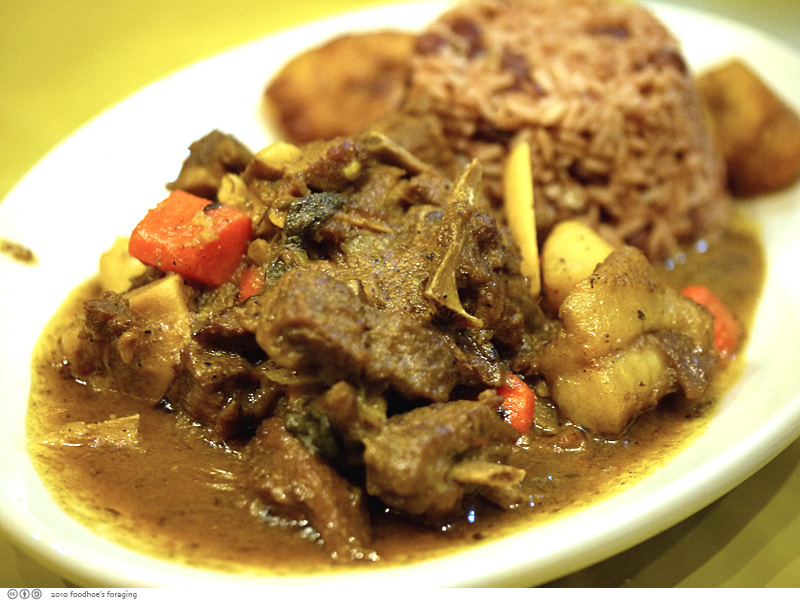 I need a plate full of oxtail stew.